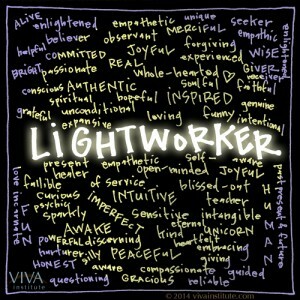 Let's talk about the shift in Lightwork and the birth of the true LIGHTWORKER. I find it interesting when people judge emotions and place limitations on what and how people can express themselves. The days of the Love and Light Brigade are over folks and THANK GOD for that. ONLY GOOD VIBES HERE?...you're leaving out an entire facet of emotions and humanity. It's a lot of things that get repressed, hence how humanity got to where it is. People are so afraid of Scorpio energy. It's not all love and light. Folks are gonna get uncomfortable with some TRUTH over the next year (or coming years for that matter) as long as you only acknowledge the happy vibes. Shadows exist. Welcome to the Universal Law of Polarity. If you're thinking dualistically, of course you would judge heaviness and emotions as negativity, etc. This is the same thing as only liking the happy posts from people on Facebook. What I love about Instagram lately is how real it is getting with the content creators. REAL LIGHTWORK includes shadow hunting. They're not expressing only joy, for that is a facade. Ignoring shadows, shadowy emotions, or shadow work does not make it go away. In Light of Dr. Phil...how's that workin' for ya?